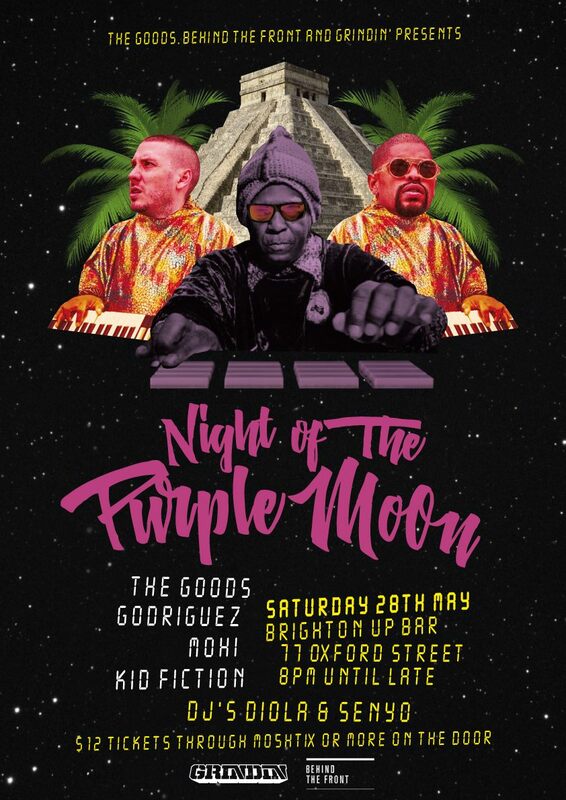 The Goods, Behind The Front and Grindin’ present Night of The Purple Moon – a night of soulful genre-bending future funk music showcasing untapped, forward-thinking beatmakers from across Sydney. In a world where music and production is accessible through multiple platforms, Night of The Purple Moon will highlight the brilliant beatmakers our city is quietly cultivating with live performances from The Goods, Godriguez (Sampa The Great), Mohi and Kid Fiction. DJ’s on the night include DIOLA (Behind The Front) and Senyo.